Dr Lang is a highly experienced Chief Executive Officer and professional Director. He has a total of 13 years experience as a CEO of three different organisations. Most recently he was CEO of Parramatta City Council, a $4b government business with annual turnover of $190m, and staff of 750 FTE. He has successfully executed three business turnarounds (Pacific Power International, SHFA & Parramatta City) moving them into profit or surplus within 12-36 months. He has extensive experience in State and Local government, leading government enterprises and working closely with Ministers, Lord Mayors and government departments. He held a role as advocate for Western Sydney urban renewal and local government reform. Dr Lang is the current Chairman of the Sydney region for RDA, a joint federal and state government initiative to enhance the economic development of all regions across Australia. Dr Lang was appointed as the Local Government Remuneration (Chair and only member) in March 2015. The NSW Local Government Remuneration Tribunal is constituted under the Local Government Act 1993 and makes determinations on Categories for Councils and the minimum and maximum fee levels for Councillors in each Category. The Governor appoints a person to hold office as the Tribunal. Dr Lang is the current Chairman of Urban Theatre Projects, which is a leading theatre company in western Sydney, delivering innovative artistic works at various scales from major projects with the Sydney Festival to boutique installations with under-represented parts of our community. Dr Lang is a Board Director at Evolve Housing. Evolve Housing is a leading community minded and community driven housing provider in the not for profit sector. Evolve has over 20-years experience in delivering innovative housing services and solutions in Australia. Currently Evolve has 2224 properties either owned or under management and is growing rapidly with a portfolio of new developments underway. Evolve works sustainably to achieve its vision of being a major contributor to the relief of housing stress in our community. 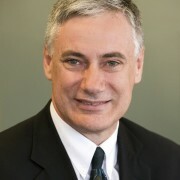 Dr Lang, as an Adjunct Professor, assists the School of Business, Western Sydney University with guest lectures on business related topics - Change management, staff engagement, strategic insights, sustainability, planning, leadership, people management, communication & negotiation, governance, working with Executive teams & Boards, etc. In addition, assisting postgraduate research students in relevant areas and contributing to staff discussions for their own areas of research/interest that might intersect with my experience. He is also on the Board of the Centre for Western Sydney. The Place Leaders Association is a non-profit membership organisation whose members are some of the leading place makers and place managers in the Australasian region today. They are a network of people who are passionate about creating great places. Dr Lang was the inaugural President in 2003 for three years, and served as Chairman for two further years in 2011-13. He has previously held a range of directorships. Dr Lang is a Fellow of the Australian Institute of Company Directors and has management qualifications from the Mt Eliza Business School. He is also a Fellow of the Institute of Engineers Australia. Dr Lang holds three degrees from the University of Sydney including a Bachelor or Engineering in Electrical Engineering with First Class Honours, a Bachelor of Science in Computing Science and a PhD in Electrical Engineering. Dr Lang is Chair of the Governing Board’s Governance Committee, contributing from his experience in human resource management corporate governance, finance, public sector management and change management.